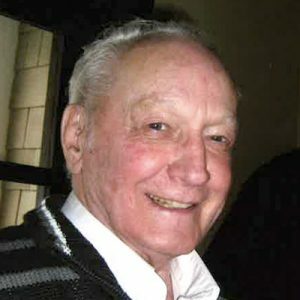 Frank went to be with the Lord on Thursday, March 21, 2019 at the age of 87. He is survived by eight children; 22 grandchildren; and 30 great-grandchildren. Frank was predeceased by his wife Clara Vetter. Moving from rural Saskatchewan, Frank has been a resident of Kelowna since 1975. All friends and family are invited to a Memorial Service on April 3, 2019 at 11:30 am at Our Lady of Lourdes, 2547 Hebert Road, West Kelowna, BC. Interment to follow at Westbank Cemetery. The service for VETTER, Frank is scheduled for Wednesday, April 3, 2019 at 11:30 am. Below you will find the map for the service location and the contact information should you have any questions. My condolences to the Vetter Family that I grew up with and that are dear friends, I’m so sorry for your loss. We were sorry to hear about your father passing away, but we know he is better off now. He is with his lord. He will not suffer no more. He lived a good life. Families….Thinking of you during this time.. Sorry to hear about Uncle Frank, he will will be greatly missed by us and his entire family. We know that he was in a lot of pain towards the end but he is now at peace and with God. We will keep you all in our prayers. My condolence to the Vetter family. I know my Sons will miss their Grandpa.